Another quite cold morning, 3,5 degrees at 05.30. NE light breeze, sunny. Nets open 06-14, netmeter hours = 2500. 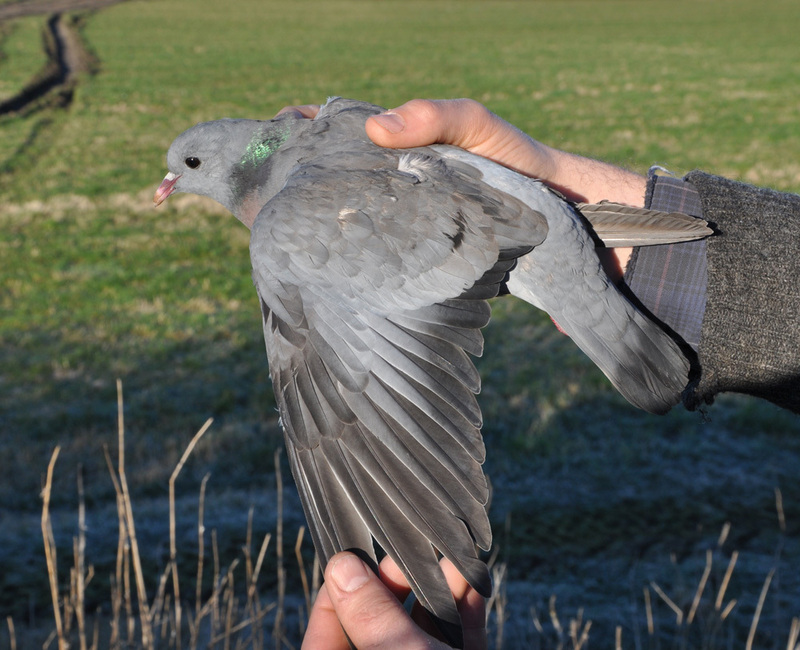 Ringed: Stock Dove 1 (first ever! ), European Robin 6, Black Redstart 1, Song Thrush 5, Redwing 1, Common Blackbird 1, Blackcap 1 (first this season), Chiffchaff 5, Goldcrest 2, Brambling 1, Yellowhammer 1. Total = 25. Also 4 controls. Ringmerket: Skogdue 1, rødstrupe 6, svartrødstjert 1, måltrost 5, rødvingetrost 1, svarttrost 1, munk 1, gransanger 5, fuglekonge 2, bjørkefiunk 1, gulspurv 1. Total = 25. Også 4 kontroller. Stock Dove, the first ever ringed at Revtangen BO. Skogdue, ny merkeart for Revtangen OS. 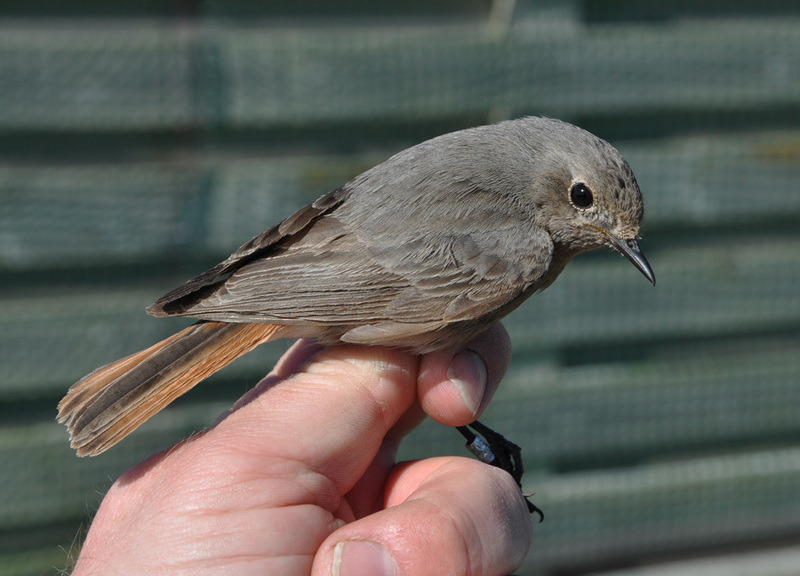 Black Redstarts are scarce migrants along the SW coast of Norway, this is only the 13th ever ringed at Revtangen BO. 2cy female. Svartrødstjert, 2K hunn. Work continued on the new ponds, thus creating some disturbance to the trapping area. Haavard Husebö and Alf Tore Mjös. 1 visitor.